When first residents moved into Greenbelt in 1937, students attended classes at the Center School (the present day Greenbelt Community Center). Shortly after, in the fall of 1938, a new high school opened in the west part of the town, at Edmonston Road and Greenbelt Road. When Eleanor Roosevelt High School opened in 1976 in Greenbelt East, that old high school became Greenbelt Middle School. 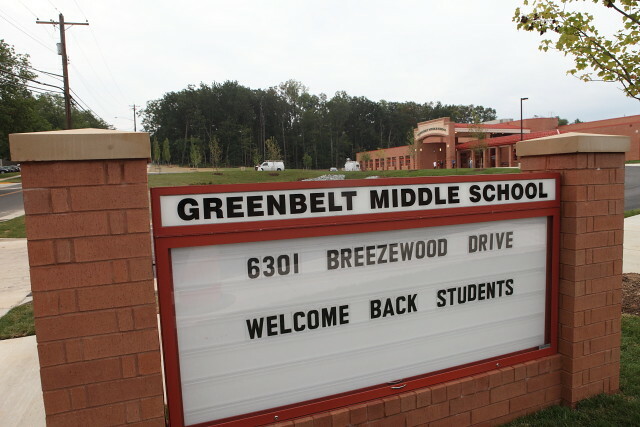 For many years, there have been plans to build a new Greenbelt Middle School building. 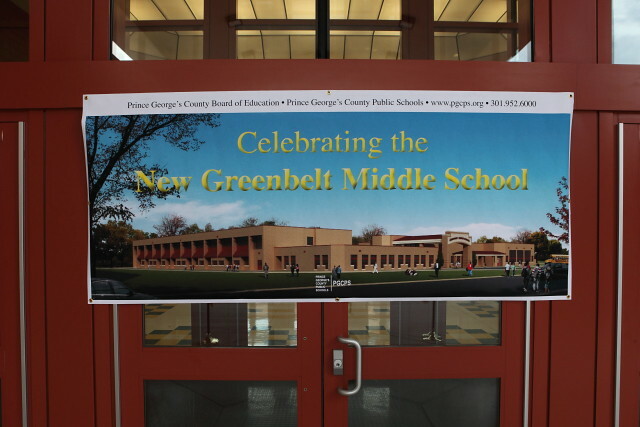 Finally, on August 20, when Prince George’s County Public Schools opened their doors for the new school year, a ribbon cutting ceremony was held to open the new $56-million Greenbelt Middle School. 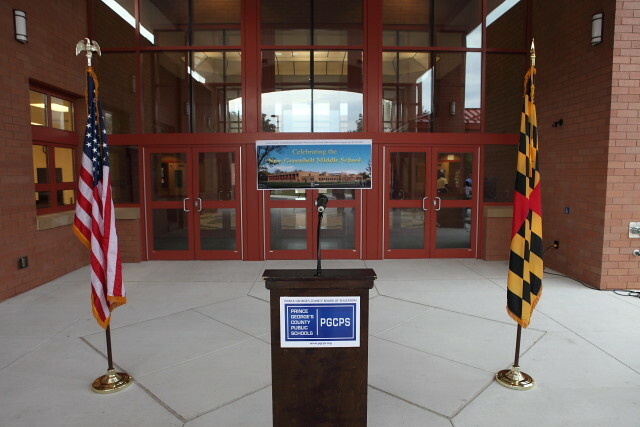 The podium and flags are ready for the ribbon cutting. 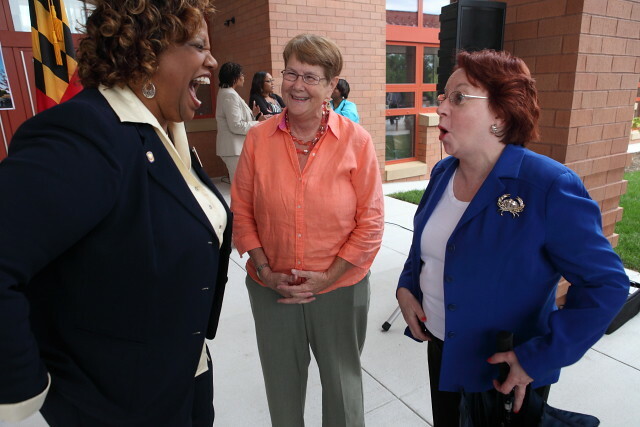 The $56-million new Greenbelt Middle School is certified LEED (Leadership in Energy and Environmental Design) Gold. More than one thousand students from grades 6 to 8 will attend the new school on opening day.